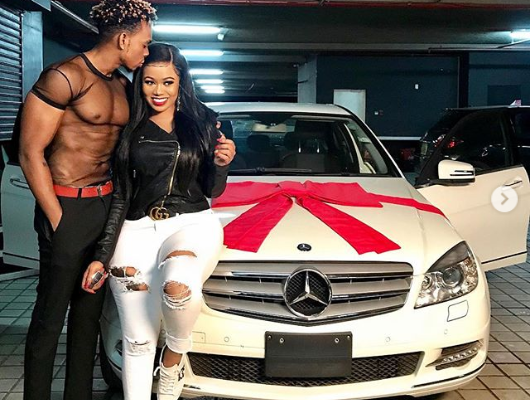 Last month, Kenyan socialite Vera Sidika broke up with singer Otile Brown and exposed him after he asked her for financial assistance to buy himself a Mercedes Benz. The curvy model announced on Instagram that they were no longer together just two days after they reconciled after breaking up. She also accused him of extorting her during their relationship. Following speculations that she has moved on with Tanzanian model Calisah, Vera appeared to confirm the relationship today by taking to her page to show off the new Mercedes whip she bought him. This comes after the pair were spotted enjoying a romantic date together.